Today’s rapper reveal is the most obvious of them all, considering you can’t have the Bride of Frankenstein without the big green guy himself. 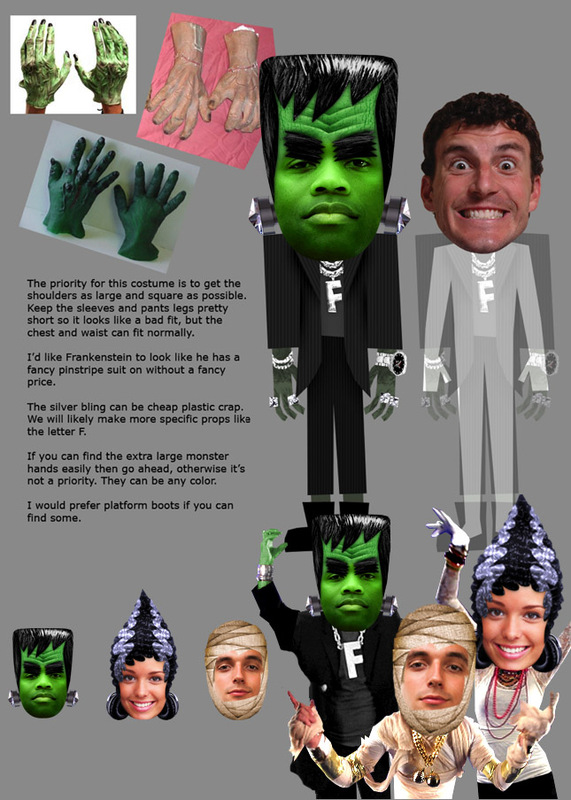 Us JibJabbers have a certain affinity for Franky, we’ve had him Monster Mash, dole out advice and gave him his own Presidential campaign ad a few years back. We did some extensive character design, then costumed our monsters in real life to film them live. The mix of live action and animation results in very fluid, snappy rapping style that we think you’re gonna dig it. Two more monsters to go. This entry was written by paulhanges and posted on September 27, 2010 at 11:35 am and filed under Halloween. Bookmark the permalink. Follow any comments here with the RSS feed for this post. Trackbacks are closed, but you can post a comment.